Sometimes the best things happen when I am in what I call one of my “zenyatta mondatta” states.. It was too hot to be outside, I was too restless to sit down and read, too energetic to not do anything. 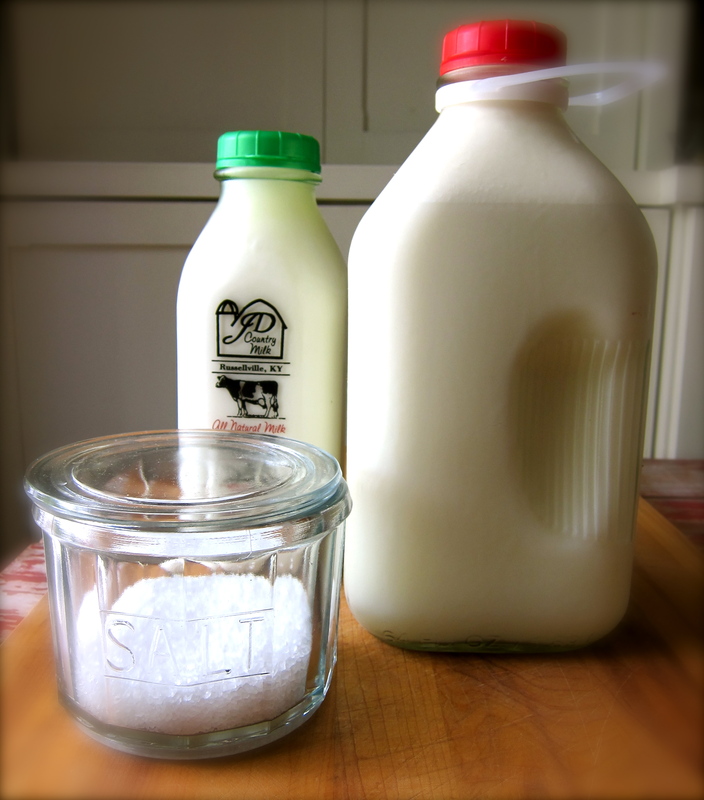 I couldn’t settle on anything in particular…hung between wanting to do everything and nothing, so I went to the Farmer’s Market & purchased some local whole milk & buttermilk from JD’s Dairy in the hopes of finally trying out a few recipes I have been mulling over for making homemade ricotta cheese. 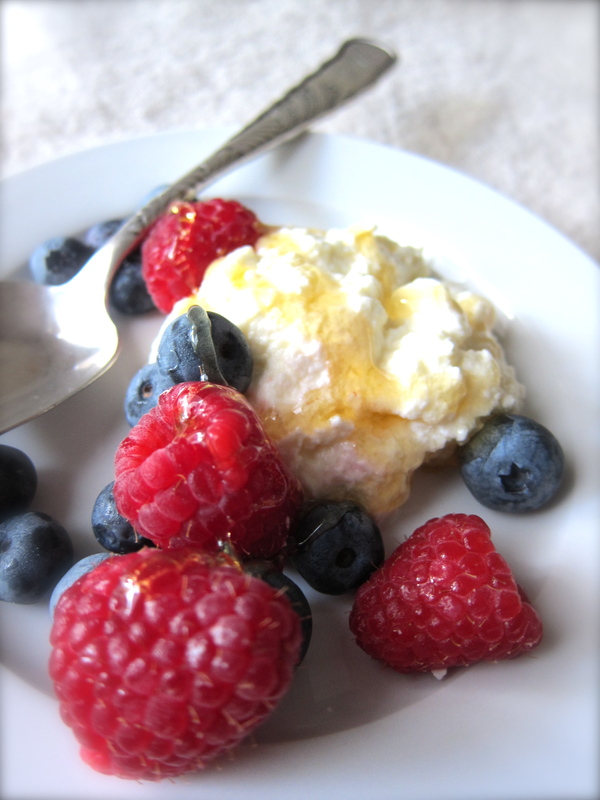 I could take it easy inside in the cool, do something I had been thinking of doing for a while and maybe have something good to eat as a result! This is what I ended up with, and following is how I got there….. 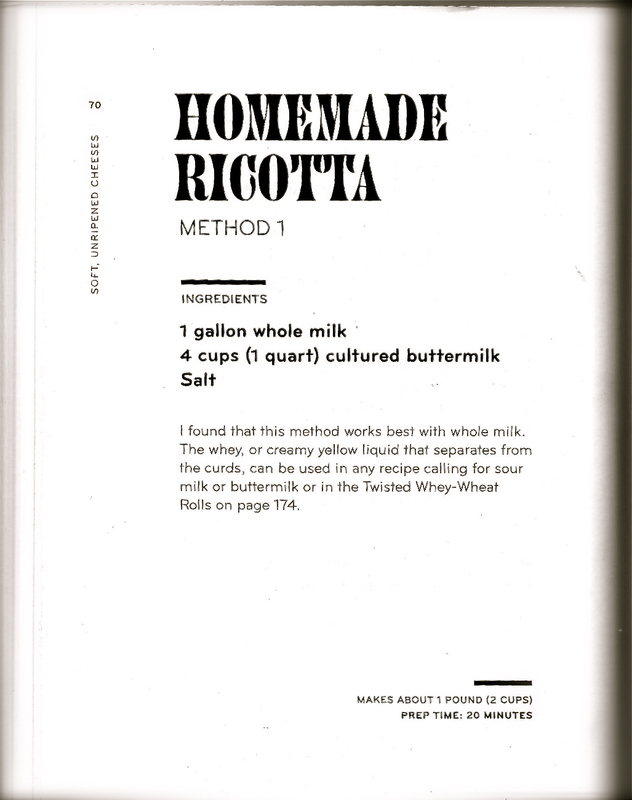 I have collected many recipes for making homemade ricotta cheese over the past few months, but finally chose the recipes from a book that is devoted to all things dairy that you can make at home. 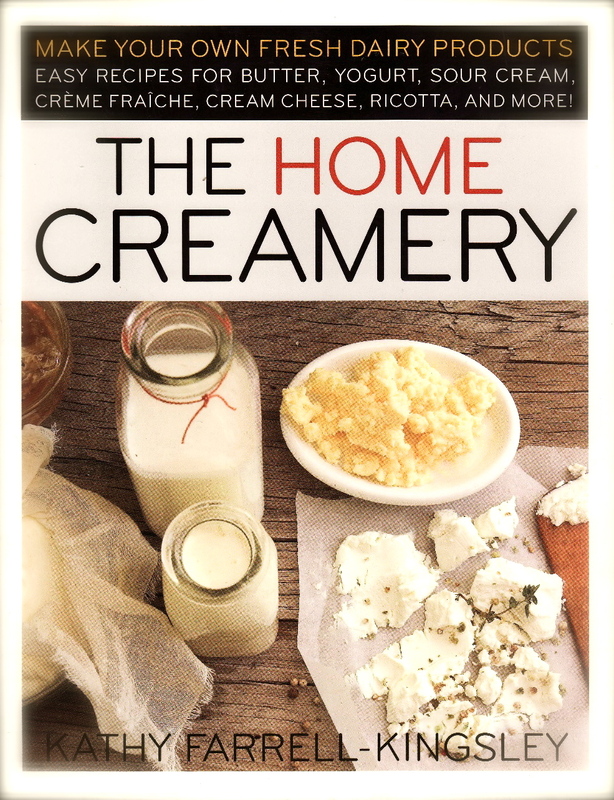 This book is full of simple recipes for making delicious cheeses. 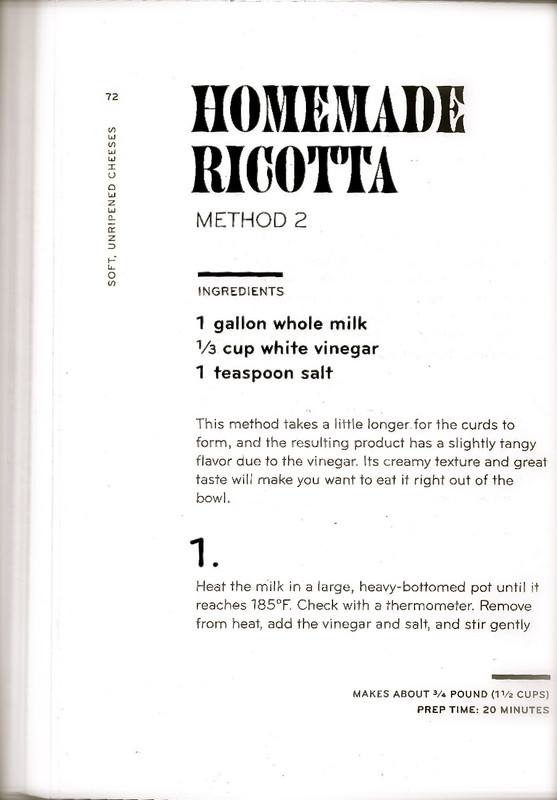 I used Method 1 and 2 from this book. 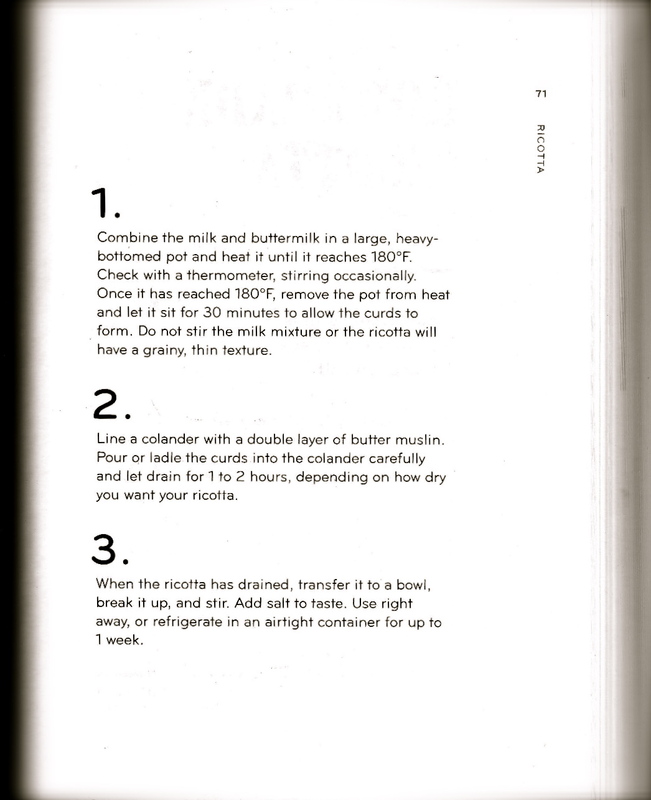 Recipes at end of this entry. 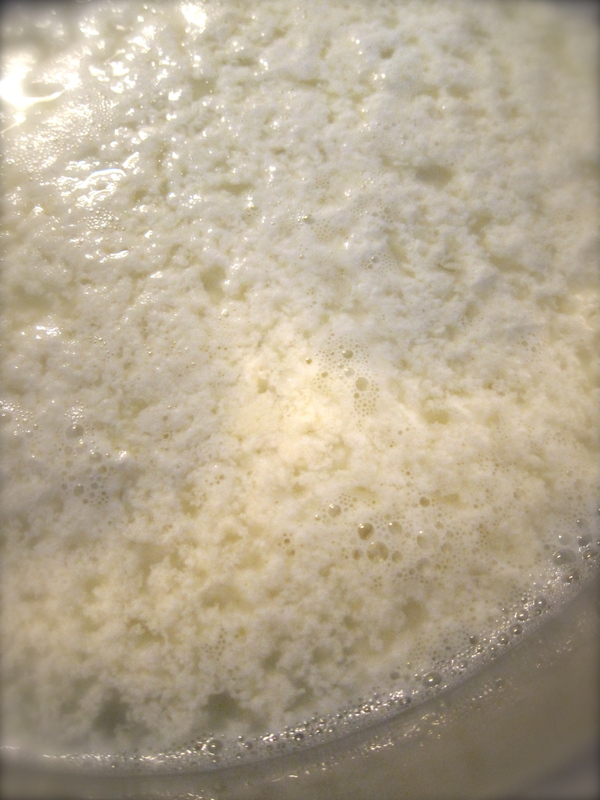 JD's Whole Milk, Buttermilk and salt. 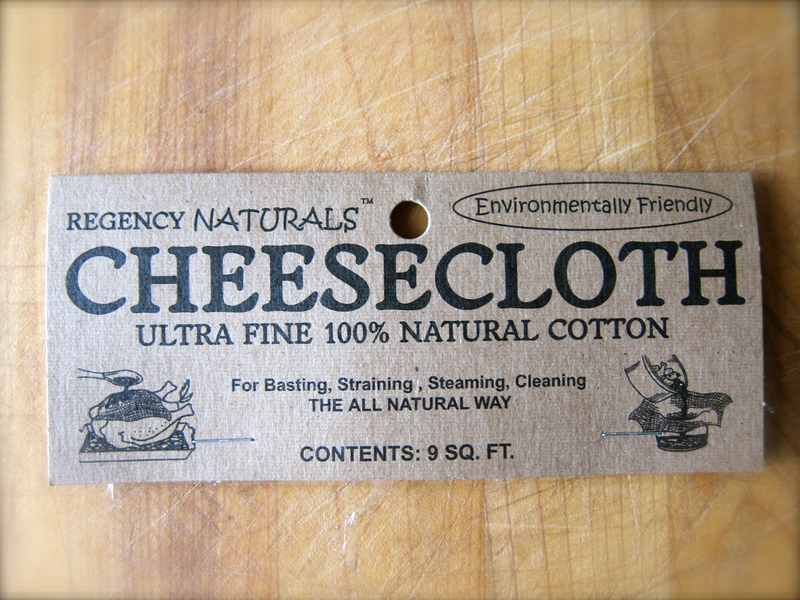 A good, all-cotton cheesecloth with a tight weave is important...Wms. Sonoma is where I found this one. 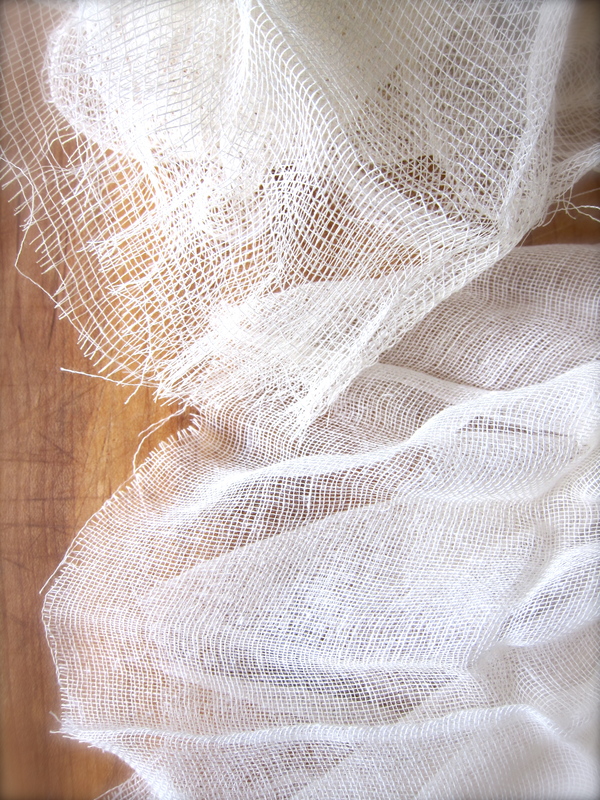 Tight woven cheesecloth at bottom, looser weave at top...see the difference? 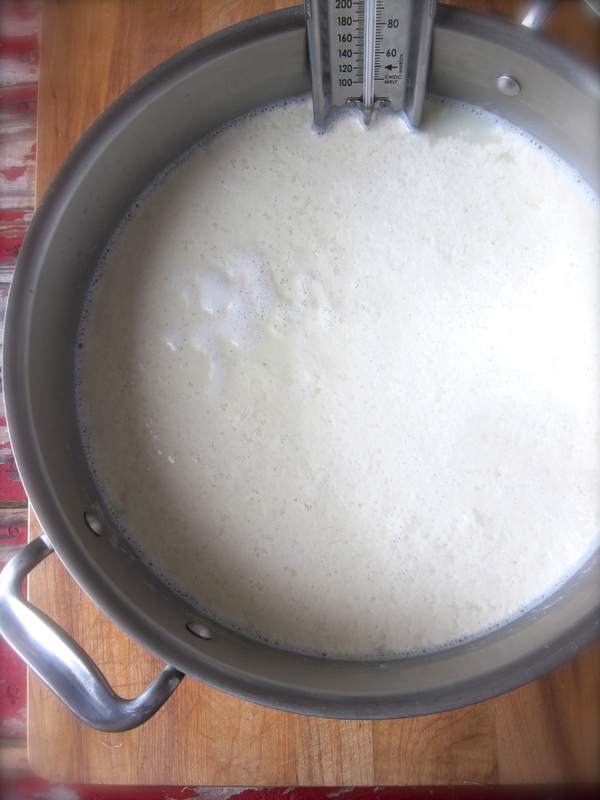 This first method was very creamy and did not have any “tang” which made it work so well with the fruit…A subtle flavor that was a bit additive! 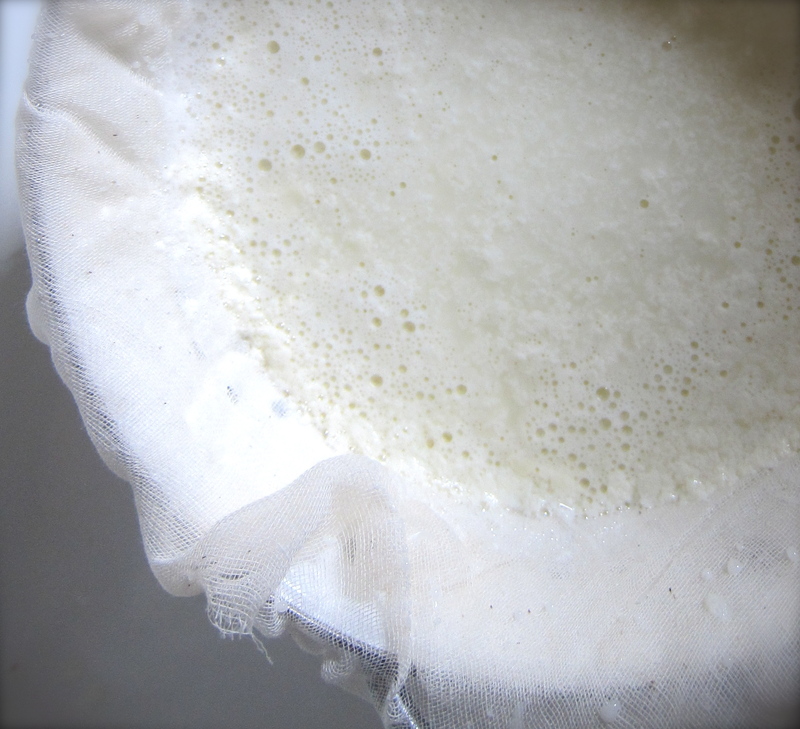 The curds on Method #2 were larger, less creamy looking.....just whole milk, vinegar & salt. 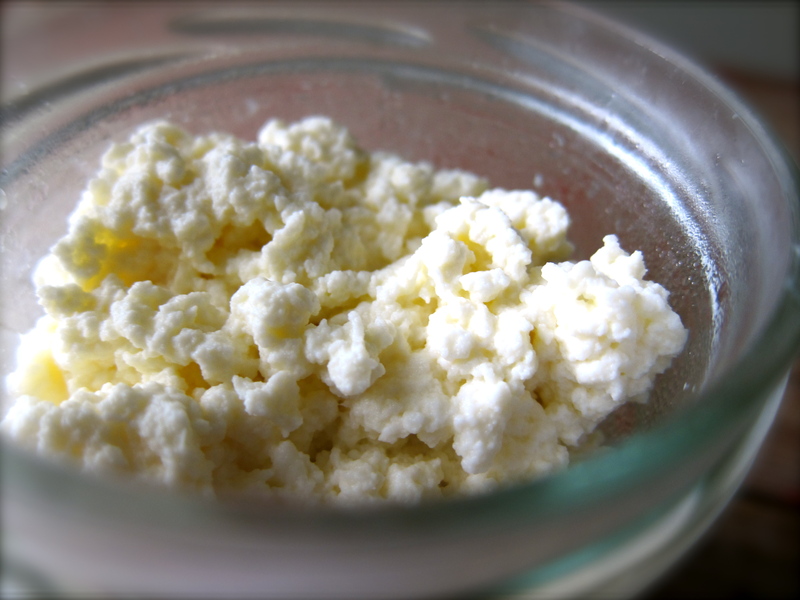 A bit larger curd, less creamy with a tang...more like commercial ricotta. 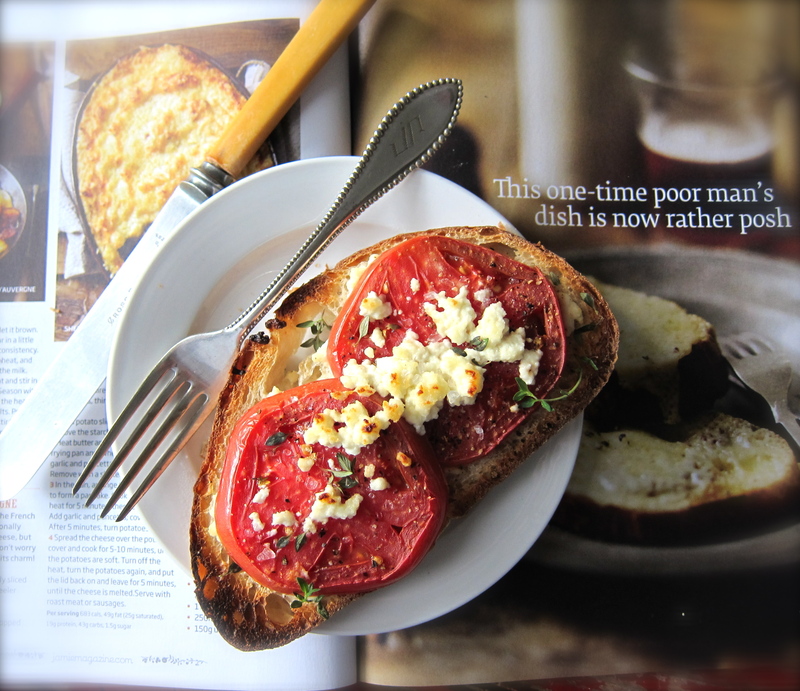 Crusty bread smeared with ricotta, topped with homegrown tomatoes, more ricotta sprinkled on top with fresh thyme, toasted....breakfast! 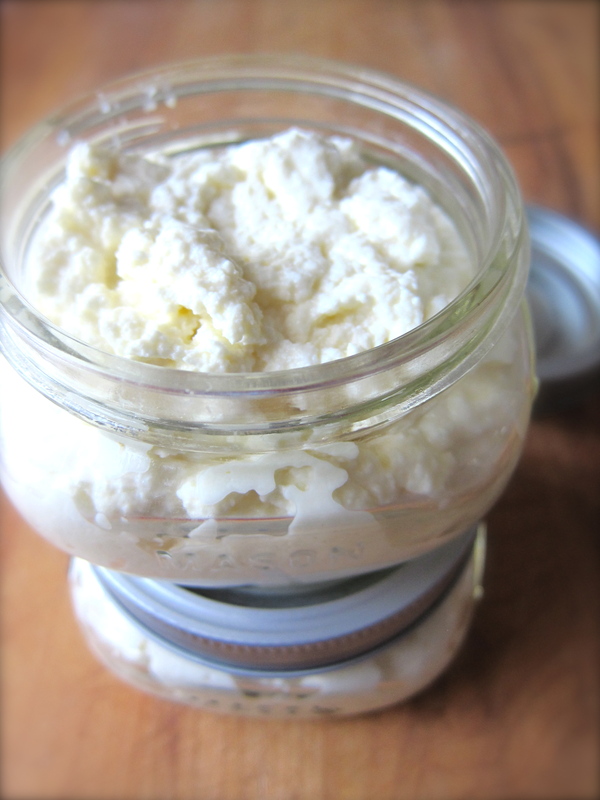 Below are the two recipes/methods I used for making ricotta. 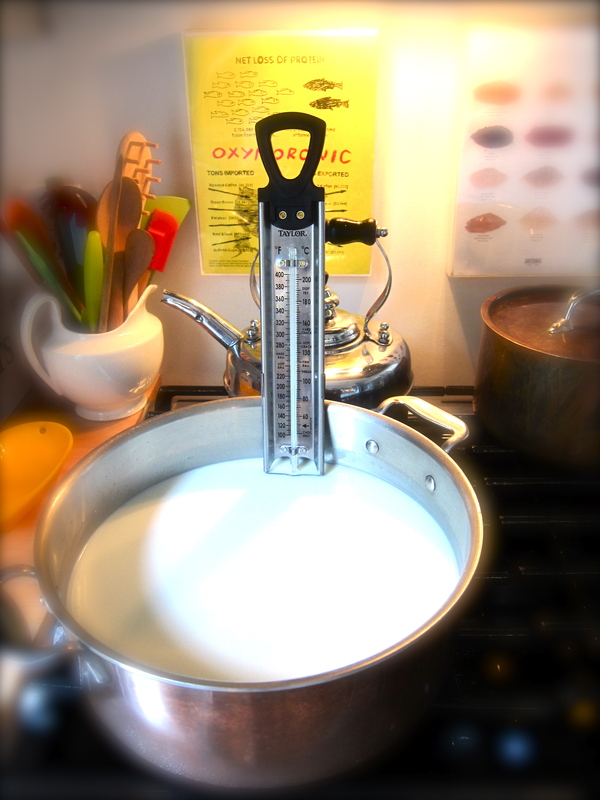 They both worked like a charm…were quite different in taste and texture….but both were a treat for the palate.. 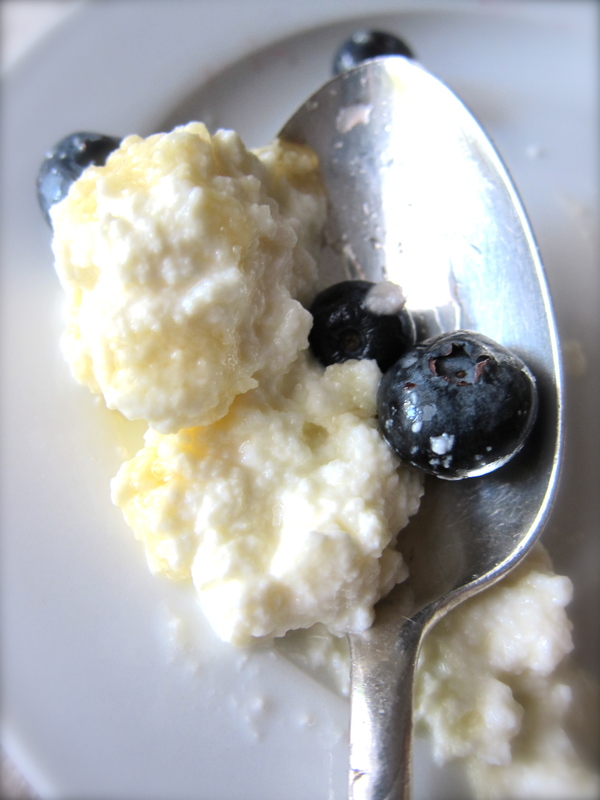 Try these ricotta recipes out on your next “zenyatta mondatta” kind of day…………. Very nice Teresa. And I like the photos too. Did you take those? Good work! 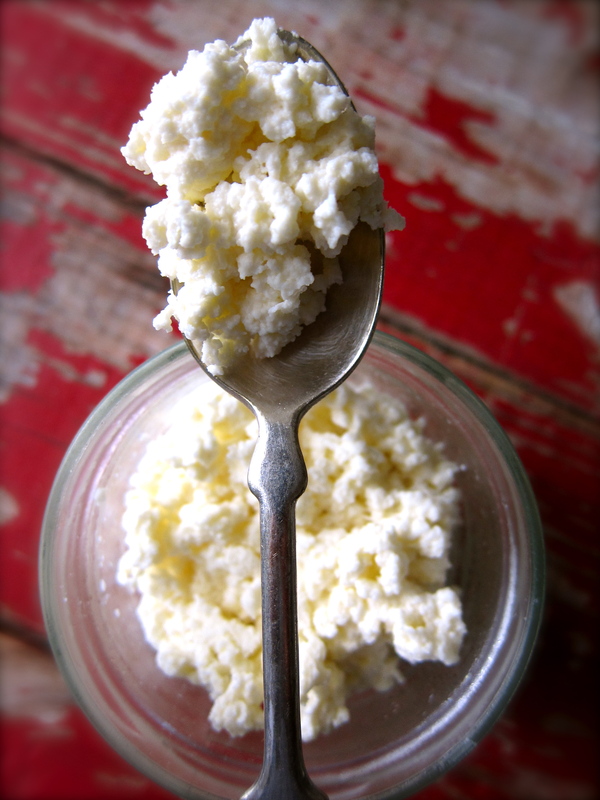 I have been wanting to make ricotta for some time—this looks simple and delish. 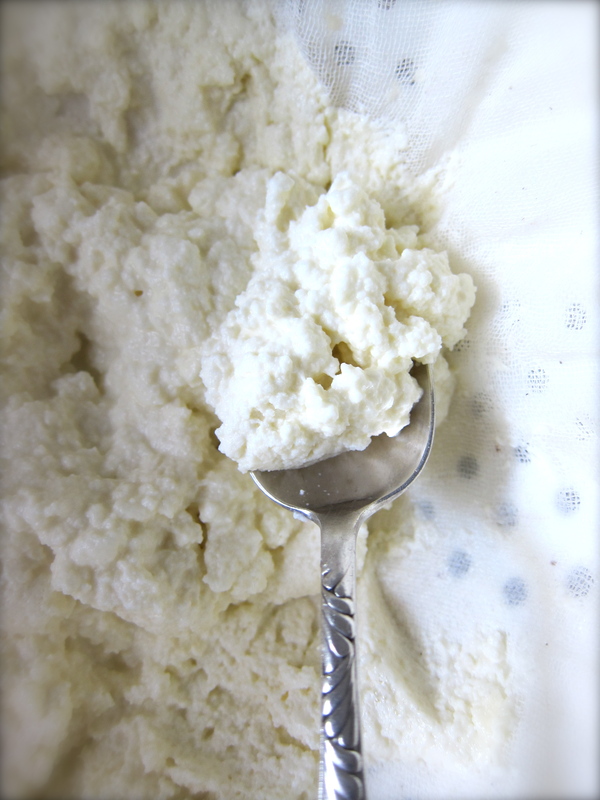 I have made mascarpone with heavy cream and lemon juice—no cooking, just allow it to culture and drain overnight in the cheesecloth. I will have to wait for my zenyatta mondatta moment, but now my brain is filled with old Police songs!!!! 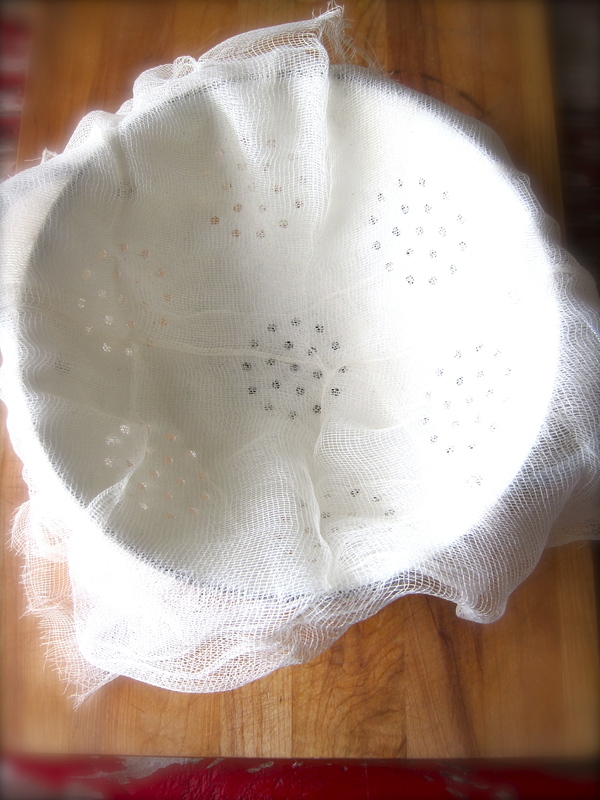 “every little thing she does is magic” do do do da da da …………..
Hey, T. I’m going to try this today. 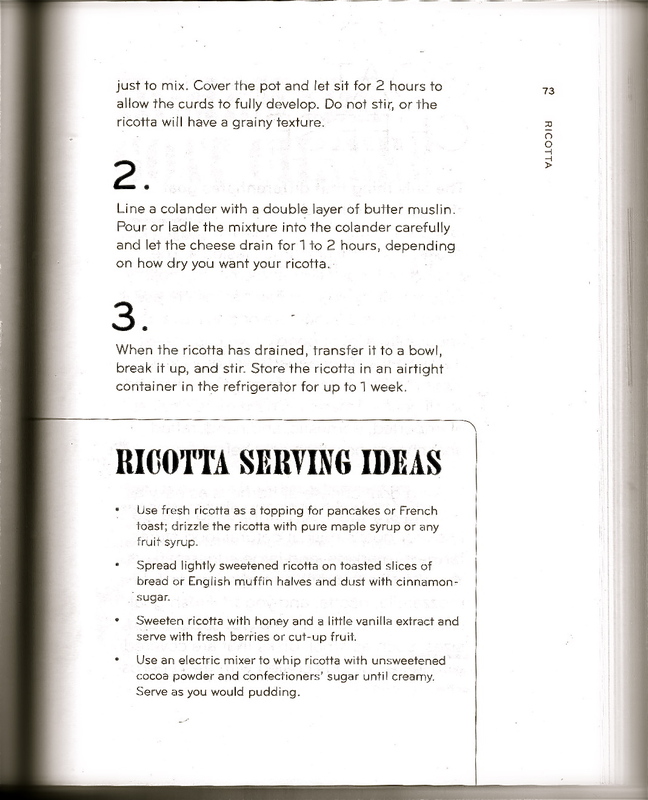 Want to make wee ricotta cake this evening!